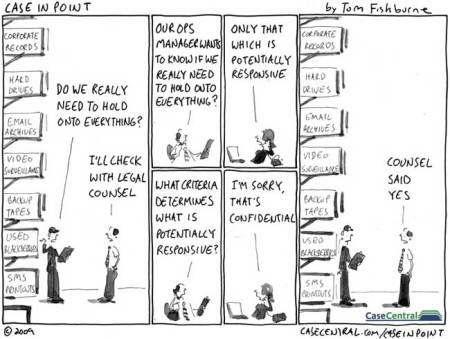 Understand e-Discovery? CA Bar thinks you should. And the law library is here to help. During our legal tech talk series of episodes on all manner of legal technologies, http://www.sandiego.edu/law/library/find-resources/research-trainings/legal-tech-talks.php, we will provide students with answers on how e-Discovery works. Our tech talk series, Episode 5 is on metadata. All episodes are at 12pm in Warren Hall and food is served. You really can’t beat that. For the full article on why the CA Bar thinks it an ethical issue to know e-Discovery, read here. The 2014 year has begun! Welcome back everyone. And we are excited to welcome our new 1Ls to USD as well! 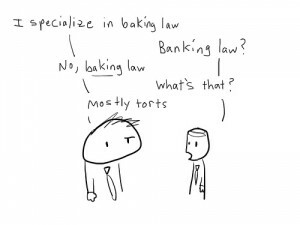 You have plenty of time to decide what are of law is your specialty! Are you interested in pursuing justice, in making the world/your country/your state a place governed by the rule of law, freer from predators and safer from tyrants than it currently is? Are you interested in soberly attempting to understand and solve the incredibly difficult, and incredibly interesting, intellectual problems that underlie so many of today’s legal disputes, and that are so misconstrued by a journalistic profession obsessed with political correctness? This is according to George Mason law professor Michael Krauss. Writing at Forbes, Krauss describes two groups of law students, and says only one group should pursue a law degree. Why are law schools so expensive? Possible solutions include creating student loan repayment protections, making it harder to obtain a student loan, reviewing the law school ranking system. For the full article on, Task force on legal-ed financing mulls causes of rising tuition at its first-ever public hearing, in the ABA Journal, click here. A revolution in the practice of law? Yes! According to the authors, Ed Sohn and Joe Borstein, creators of alt.legal a new blog in Above the Law. Their prose is catchy and engaging and you quickly jump on the bandwagon as you drink the Koo-Laid of what they are discussing. Predictive Coding: We welcome our new Legal Robot Overlords, and hope to help them rule with an egalitarian iron fist. Litigation Finance: Why pay for your own litigation when others will do it for you? Actually Useful Practice Guides: Hey, someone finally created a step-by-step guide to practicing law that even a first-year associate can follow! Legal Outsourcing: You can now unleash the forces of globalization on your legal tasks, as the market has finally acknowledged that high-volume tasks like doc review and diligence do not need to be handled by U.S. attorneys (full disclosure: we work at a legal outsourcing company). Warwick’s, San Diego Law Library, and Qualcomm present: Scott Turow in conversation with Don Rosenberg Qualcomm Executive Vice President and General Counsel to discuss and sign Turow’s latest thriller, Identical. Check-in and doors open at 5:30PM and seating is first-come first-served. Please call the Warwick’s Book Department at 858-454-0347 for more information.